A guide who knows a lot about Osaka will show you around! Guides fluent in English and Korean on a daily basis. 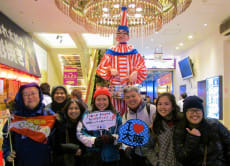 Join a night walk tour around Osaka!